We provide a comprehensive commercial property valuation service for all types of property and development opportunities. A formal property valuation may be required for a variety of reasons. Our team of fully qualified Chartered Surveyors have been specifically selected on the basis of their knowledge and experience within the region, qualifications and professionalism. 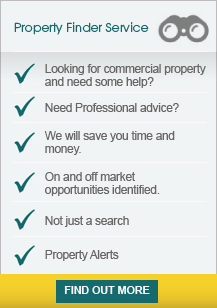 Our property clients range from private individuals to UK and international companies. A full understanding of the client’s requirements and business philosophy is essential. We recognise the need to understand today’s dynamic property market.